Amidst the hustle and bustle of today’s world, it is always a welcome break to find something that inspires peace and solitude. 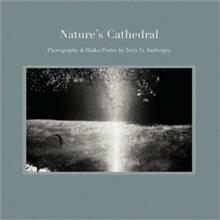 Veteran photographer Terry G. Amburgey gives people exactly that with his book “Nature’s Cathedral”. “Nature’s Cathedral” beautifully blends stunning photography with words to come up with a stimulating depiction of the American continent. Readers will be immersed in colorful pages that feature a variety of breathtaking locations like Yellowstone National Park, New York’s Central Park, Robert Moses State Park, Canada and many others. A Haiku poem accompanies each beautiful image which further illustrates in words the play of emotions felt by the author while taking the photograph. An unforgettable visual masterpiece, “Nature’s Cathedral” will spark a contemplative reverence for nature among its readers. This book will be featured at the New York Library Association Book Exhibit in Saratoga Springs, NY on November 2-5, 2011. Terry G. Amburgey is a professional photographer living in Long Island, New York. He is a member of the B J Spoke Gallery located in Huntington, Long Island, and his photography concentrates on landscape and nature. All photos in this book were taken by film not digital and none have been digitally manipulated.